It is with great pleasure we can announce a new Great Buildings ranking system! 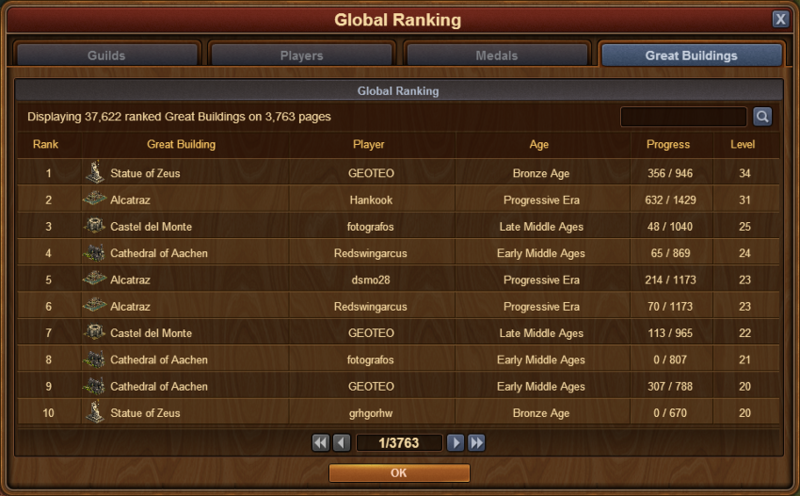 Simply enter global ranking, then select the Great Buildings tab to see how you are placed compared to your friends, and rivals! All the Great Buildings will be listed in order of level and progress. Come check it out and see how high some Great Buildings go! Great Buildings are ranked by their levels and by progress to the next level. Have fun competing! If you wish to leave any feedback about the feature, please click here. We wish you a successful race up the new ranking!